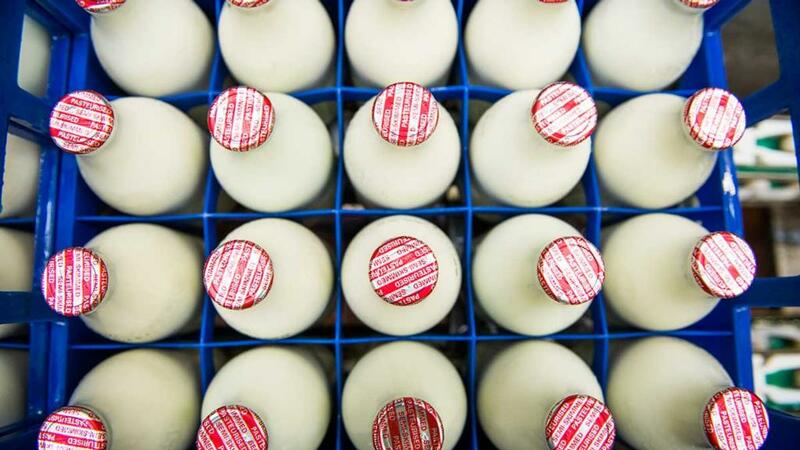 Cotteswold Dairy was encouraging people to switch back to the traditional glass bottle and local milkman to tackle the problem of plastic waste. With the impact of plastic waste in the news after China stopped the UK shipping its plastics to the country for recycling, Cotteswold Dairies has highlighted a simple way for people to reduce their reliance on plastic bottles - by switching back to glass. And the dairy believe milk in glass bottles even tastes better. The dairy has delivered milk in glass bottles since it opened 80 years ago and has seen increased interest as consumers become more concerned about plastic waste. With the help of their own milkmen and independent milkmen approximately 60,000 pints a day are delivered to individuals and families homes in England and Wales. “On average, a milk bottle can do about 40 or 50 trips,” said marketing manager Roseanne McEwan. It has caused a surge in enquiries for the dairy, with Mrs McEwan saying around 150 people have enquired over the past week. “The momentum is moving,” she added. “People are not just thinking about glass milk bottles. They are thinking about their carbon footprint. She added there were more benefits with the milkman the eyes and ears of the local community, being out so early and noticing things which were out of the ordinary.